It is possible that you see some patches of blue sky or even the sun this morning. The tropical pattern is still with us, but it is showing signs of breaking down. The flow of moisture will still come from the south, but shift a little to the southwest. 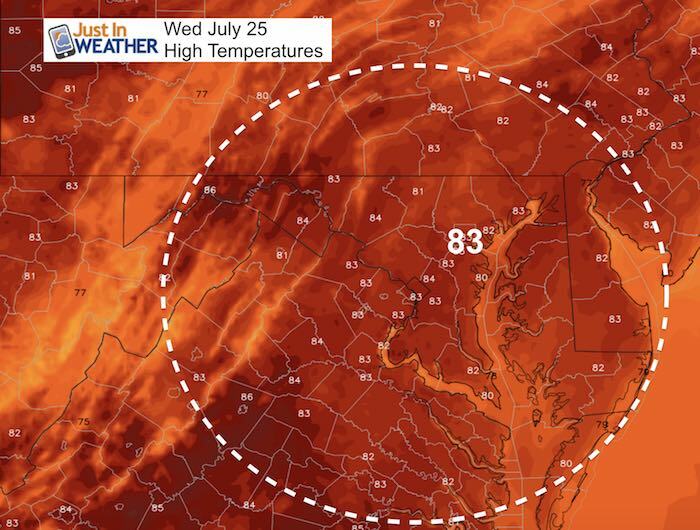 That is subtle but significant in stopping the training of rain bands along the Chesapeake Bay region. There will be more rain at the beaches this morning and more heavy downpours developing inland this afternoon. Some storms will have heavy downpours and might turn severe. We are not done yet. But, there is a cold front to our west that will help to push this stuff out of here by tomorrow. But it will ignite one more day to track the rain. The good news is that we may get one full rain free day this weekend. 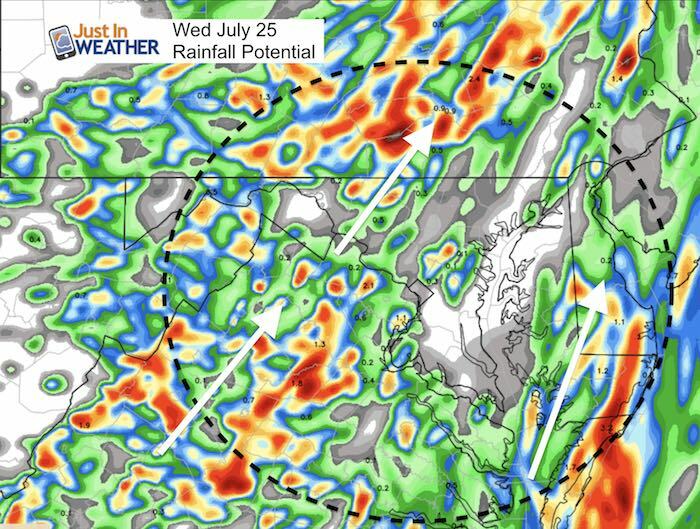 BWI had 4.07″ rain on July 24 setting a new record. That was NOT the wettest July day ever. That spot is still locked in from July 8, 1952 with 5.85 inches in a single day! We are still stuck in the tropical flow, but there has been a slight shift from the south to southwest. 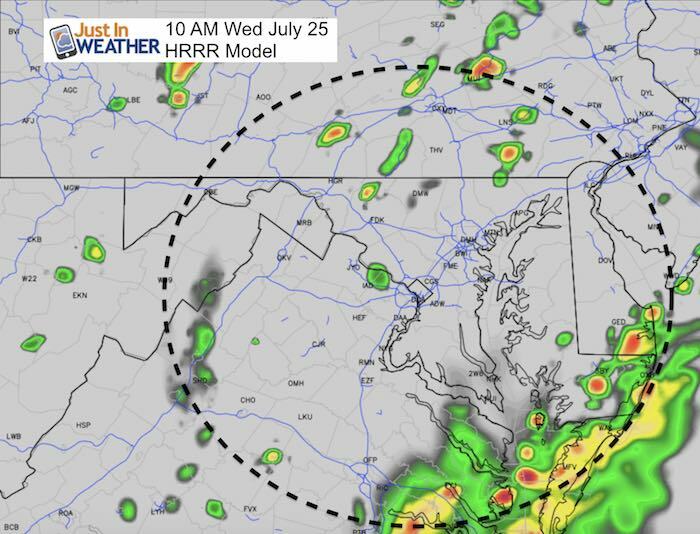 The nest way to get a sense of the subtle change today is to look at the rain forecast. The banding here has shifted direction (white arrows), starting to cut off the seemingly endless feed of water. While this animation shows some showers Thursday and Friday, they will be scattered in the afternoon. Saturday looks dry, before then next rainy pattern returns Sunday.